Ever confused by all that wibbly-wobbly, timey-wimey stuff, we humans are left with our simplistic questions: How long has the Doctor lived? 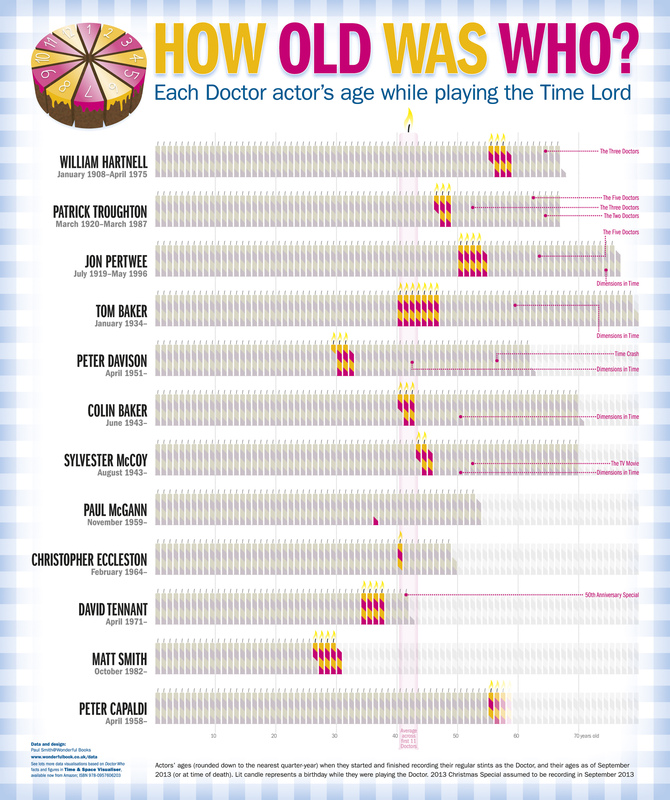 But now a U.K. man named Paul Smith—who has established an imprint called Wonderful Books, solely for the self-publication of Doctor Who-related titles—has published an infographic that tries to answer that question for each Doctor. Smith based his calculations on the total length of regular episodes, and created an infographic that, oddly enough, reveals time as a flat circle. Just going by screentime, Tom Baker’s Fourth Doctor has the longest tenure by about 16 hours, while William Hartnell’s First Doctor and Jon Pertwee’s Third Doctor are close runners-up. Representing the new series, David Tennant’s 10th Doctor and Matt Smith’s 11th have nearly identical runs, though Tennant has a slight edge of three and a half more hours. 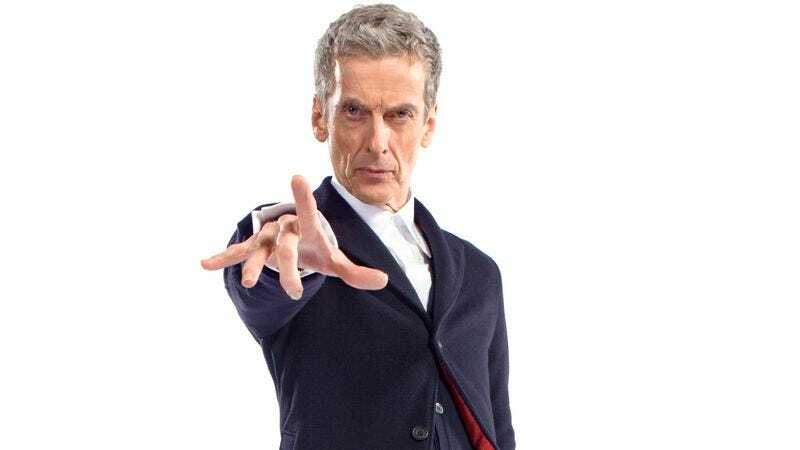 Season eight of the new Doctor Who, with Peter Capaldi as the 12th Doctor, premieres on BBC America on August 23.